4 years & up. 48 bold colors with a new anti-roll shape - perfect for drawing fine lines or broad strokes. 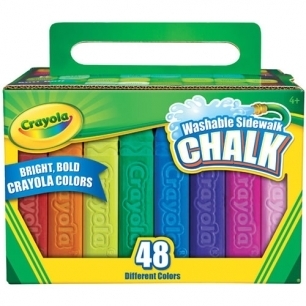 Compatible with Crayola® outdoor chalk tools.